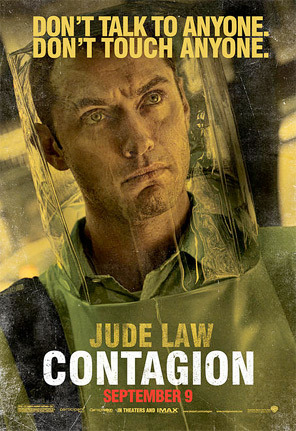 Six Chilling New 'Contagion' Character Posters - Don't Touch Anyone! Don't Talk to Anyone. Don't Touch Anyone. Yes, I love it, these are great! 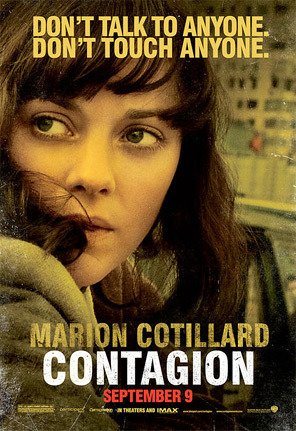 Warner Bros unveiled via Yahoo six new character posters from Steven Soderbergh's Contagion, his upcoming virus thriller we've been teasing with TV spots and trailers recently. There's one each for most of the ensemble cast, which is exactly what they're trying to promote: Matt Damon, Gwyneth Paltrow, Kate Winslet, Jude Law, Laurence Fishburne & Marion Cotillard. I love that first crazy biohazard Contagion poster, now these are perfect to along with it. I think the tagline stands out and they also have a cool Invasion of the Body Snatchers vibe. 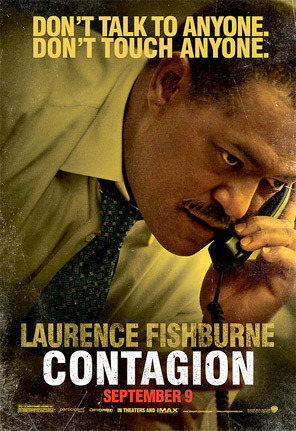 An upcoming action-thriller that centers on the threat posed by a deadly disease and an international team of doctors contracted by the CDC to deal with the outbreak and prevent it from destroying the world. 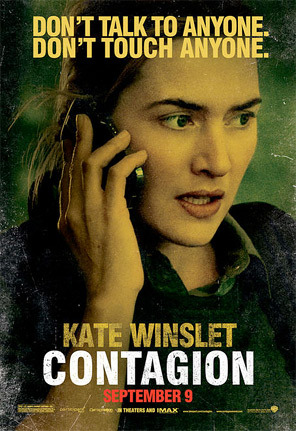 Contagion is directed by Oscar winning filmmaker Steven Soderbergh, of great films like The Limey, Erin Brockovich, Traffic, Oceans 11, 12 & 13, Solaris, The Good German, Che, The Girlfriend Experience and The Informant!. The screenplay was written by Scott Z. Burns, of The Bourne Ultimatum, The Informant! and Notes on Lying. 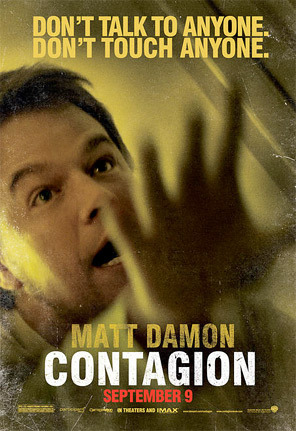 Warner Bros is bringing Contagion to theaters + IMAX starting September 9th this fall. Damn, this movie has quite the cast! Top two look good, the rest kind of blah. But the trailer looks great, and I'm really looking forward to this. That's very interesting to hear... 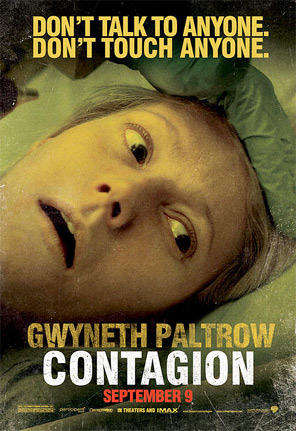 I thought the reaction was good (at least online) but maybe the general public just doesn't want to see a disease/virus movie... We'll have to see when its released. They're trying to sell the cast in this more than anything. All have some cool look or are in some cool posture except Gwyneth Paltrow who looks like drawing her last breath or is already death perhaps. Well, I like that, that's brave, and it's just her character, right. I like the other ones too for their gritty yellow tinted look.